Ceramic tile and porcelain tile offer timeless beauty. Our selection of ceramic tile flooring offers the perfect combination of beauty, maintenance and durability. With hundreds of unique colors and patterns, you are sure to find the perfect look to coordinate with your decor. Lone Star Floors wants to keep in touch with our customers and friends. Meet us on: Facebook, YouTube, to learn more about us. We had a great experience with Lone Star Floors. We shopped around for carpet and found the best deal here. We didn't feel like we were working with a 'salesman'. John was very personable and easy to talk to. 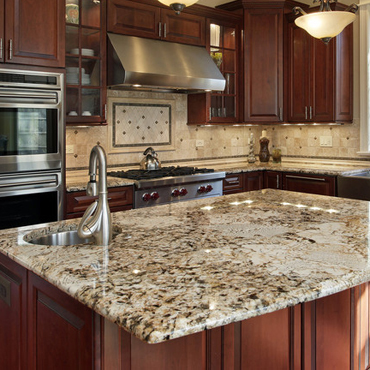 He helped us find exactly what we were looking for, and we ended up having our tile and granite done here as well. The installations went very smoothly and were scheduled in a timely manner. John went out of his way to make sure we were happy with everything. I highly recommend! This week, March 30-April 1, 2010, we had Lone Star Floors of The Woodlands install 850 sq.ft of engineered hardwood flooring in our house.John Tatom of the Woodlands store was so helpful in showing us the samples, and in coming to our house to give us an estimate. He spoke so highly of his installation crews that we were sold on using his firm, as we had looked at 5 other dealers in the area, and his firm stood out. My wife and I have had two very good experiences recently with Lone Star Floors in Spring. First, my wife procured carpet and installation for her entire office. The work was done on time (with very short notice) and for the price quoted. The workmanship was very satisfactory and the carpet looks great. After that good experience, she and I went to Lone Star Floors together and picked out hardwood flooring for our home. We chose a nice looking handscraped maple flooring, with some advice from John Tatum, the manager there. He helped us pick the floor that would function best for our application (lots of kids, a dog, etc.). We set the install date for the following Tuesday (only 3 days away), paid our down payment and left the store. Only an hour or so later, John called to tell us that the flooring wouldn't actually be available for a couple of days. We rescheduled for later in the week. Sure enough, the intallers came as scheduled. They moved the furniture, including a baby grand piano, without incident, removed the carpet and pad, prepped the floor with four bags of float, and left it to dry overnight with an inustrial strength fan. The next day, they were there to do the install. When I came home that night, my furniture was back in place, piano and all, and my wife was ecstatic! So was I. The floor looks great! Honestly, I'm shocked, as it looks even better than I'd hoped. John called me the next day (Saturday) to follow up. I told him I was extremely happy and that I'd happily recommend him and Lone Star Floors any chance I got. So, that's what I'm doing here. If you're blessed enough to be able to install new hardwoods in your home, do yourself a favor and go check out Lone Star Floors. And, by the way, I priced similar flooring at another stoor (a so-called wood liquidator) and found it competitively priced only as a clearance item. Also, I priced installation on a per-square-foot basis through a contractor (who is a friend of mine and would give the me best price he could) and ended up paying exactly the same through Lone Star Floors. Also, we were not asked to pay the second half until after the installation, which insured that we were satisfied prior to parting with our hard-earned money. That's good business! LONE STAR FLOORS DID MY HARDWOOD FLOORS DOWNSTAIRS AND CARPET UPSTAIRS. THE JOB WAS DONE IN TIMELY MANNER AS THEY HAD PROMISED AND THE LABORERS WERE VERY PROFRESSIONAL. I WOULD HIGHLY RECCOMEND LONE STAR FLOORS FOR ALL YOUR FLOORING NEEDS. This is just a note to say Thank You. You really went above & beyond for us. We really appreciate everything! It will be our pleasure to reccomen Lone Star Floors to anyone who needs flooring. Thanks again for all your help & advice! LOVE THEM! : this is a great place to do business with. The guys are very friendly and helpful and expedient. The crew that did our granite did a perfect job. I would highly recommend this company. My floor is looking AWESOME. I was surprised to see it when they finished their work. Honestly, I tried to find faults but you don't believe, I was failed. Totally faultless work and finished right exactly when they said. Each and every place and corner of my house is looking beautiful. I would not hesitate to recommend them to my friends and relatives. Excellent Work! I've found one of the most customer-service oriented companies that you could ever come across! My wife and I were willing to listen to ideas, yet they always had their own exceptional suggestions that brought so much more to my home. They seem to work around the clock! Thank you so much for your outstanding work. EXCELLENT DEALS. I PURCHASED SOME 18 INCH PORCLIN TILES FOR MY RENTAL PROPERTIES. VERY GOOD GRADE OF TILE. THE GUY(MOHAMED) WHO SOLD ME THE TILE TOLD ME THEY WERE $3.00 TILES THAT I PUCHASED FOR $1.19. I DID DO SOME INVESTIGATING AND FOUND OUT THAT INDEED THAT WAS TRUE. I DONT KNOW HOW THEY SELL THEM SO LOW, BUT NO COMPLAINTS HERE. IF YOU DONT CHECK THESE GUYS OUT, YOUR GONNA SPEND TOO MUCH MOOLAA. Lone Star Floors are wonderful. We had only a short time to complete the floors and they did a fabulous job. They are very honest and straight-forward and they made sure that even though the time was tight they did not compromise on the quality of the floor installation. They are a pleasure to work with. We chose them based on the great reviews they have and we definitely would highly recommend Lone Star for any hardwood floor needs. Will most definetly recommend you guys to all my buddies. Great Store with lots of choices! Just got carpet installed and their carpet installer was great. I felt very comfortable with him in my house. He was kind and respectful of my personal items. I would recommend Lone Star Floors to anyone wanting a quality job done! Our experience with Lone Star Floors was exceptional to say the least. The entire sales, installation, and follow-up process truly shows their high level of personal investment in their work. We will certainly refer and work with Lone Star Floors again and not even consider anyone else. Lone Star Floors did a terrific job-beautiful floors done quickly and properly, and for a very reasonable price. I would 100% recommend them to anyone looking for a hassle-free experience and the promise of a job well done. These guys do great quality work. Little extra steps they took that normally get overlooked by the end user were done with great detail and pride. I was surprised by the professionalism of their employees from the bottom level to the top! My wife & I got a great deal on hardwood and carpet for our new house!!!!!!!!! We are 100% pleased with the project, we will be telling all of our friends & family that Lone Star Floors is exactly right 4 U!! I had Hardwood flooring installed throughout the entire house and I have to say this company's work is absolutely fabulous. John and Mohamed were so meticulous with every detail. They also answered all of my concerns about flooring throughout the installation process (and I learned a few secret tricks of the trade). I would recommend this company to my closest friends. Lone Star Floors did a great job of helping me pick out flooring for my whole house. They helped with Tile in the kitchen, hardwood in the dining and living rooms, and carpet for the bedrooms. They even installed it for me. The carpet looks great and it was installed fast. The carpet men did an excellent job. I appreciated you installing my carpet before Easter Sunday. I wish you the best at selling carpet. I want to thank you for the beautiful rug you gave me for being “Employee of the Month”. It will look lovely in my home. Kristine told me she personally picked it out and she did a wonderful job. Your daughter is one of the sweetest employees at Juan Seguin and she brightens my day. Was unable to get into the store this weekend. The installation of carpet went as smoothly as it always does. Benjamin does a wonderful job and is always so neat. It looks beautiful and am quite pleased with the selection. The furniture arrived later than scheduled and took longer than I thought to put together. I am working hard at getting all things in order within my home, so I am able to focus all my attentions on working..... . Thanks so much for your time and expertise when we were choosing our hardwood floors. Our floor is absolutely beautiful. We were extremely pleased with the quality of the work and the timely service provided. Your crew arrived as scheduled, managed to finish up a day earlier than the maximum time allotted...and the quality of the work is simply excellent. We will happily recommend your company to everyone we know...everything went as smoothly as you said it would. I was so impressed with the crew that you sent out to install my floor. They were friendly, efficient, and boy did they clean up the mess!! The floor looks great, and as I watched they were painstakingly careful to get everything just right. Congratulations on a job well-done! I will recommend your company to my friends. Our tiles were finished this morning & we cannot speak highly enough of the efficiancy with which the job was handled. The crew were extremely pleasant & the kitchen looks fantastic & now we are looking forward to having our carpeting installed on Saturday. We can highly recommend Lone Star floors to anyone who is contemplating having their floors re-done or new floors installed. Further I would point out that this letter is completely unsolicited. 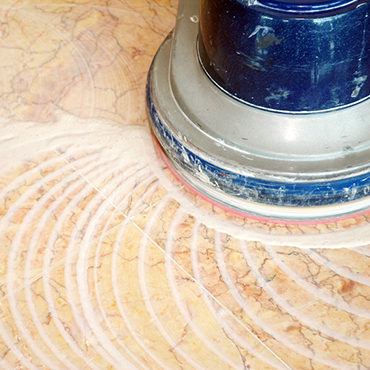 We clean and seal grout, please call for more detail. Carpet Repair and Stretching, please call for more details. Lone Star Floors was started in 1995 by 3 cousins Mohamed, Ziad and Emad.It is Truly A family runs business with other family members. We are all involved in the every day operation of the business. Ziad and Emad started in this business as installers in 1988. In 1995 we decided to open a retail store front at Hwy 6 south. 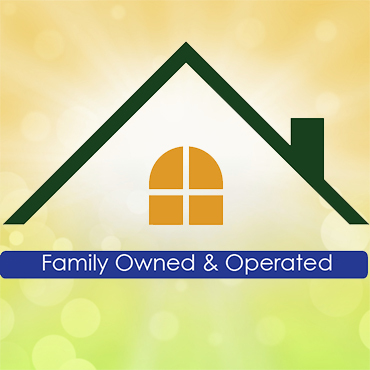 Our family strives to give you the superb service you need. 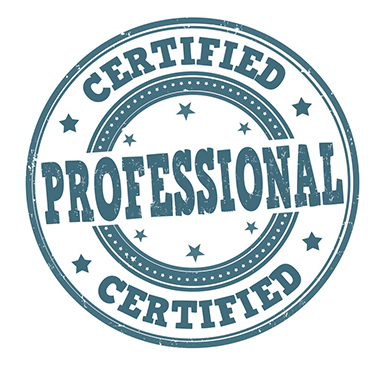 Lone Star Floors: ADHERE TO THE FOLLOWING STANDARDS: 1.Excellent Customer Service 2.All work performed will meet or exceed standards of the industry. 3.Full disclosure of all risks and costs associated with your service(to the best of our knowledge). 4.All terms and conditions fully specified in writing and adhered to (unless beyond their control). 5.All changes, deviations and amendments to original contract must be in writing and accepted by customer. 6. No advance payments required except under the following conditions: - Reasonable fees for estimates and so- called “trip charges”. - Materials are ordered in the name of the customer and payment is applied to order. - Materials are delivered. - Work has started. - Lone Star Floors and Consumers come to private agreements to meet our particular needs and feel completely comfortable with the arrangement. 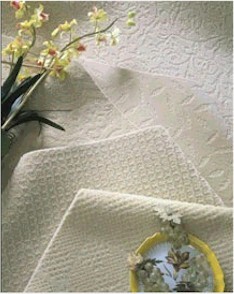 - Lone Star Floors: Adhere to the BBB code of ethicks standards. 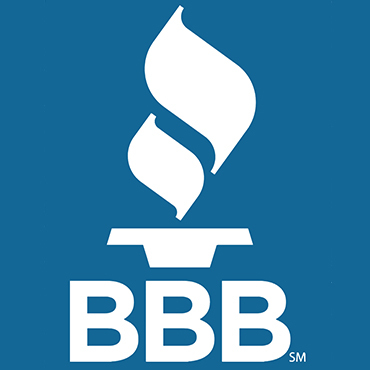 Lone Star Floors has been a member of the Better Business Bureau since December 1995. This means we support the Bureau's services to the public and meet our membership standards.